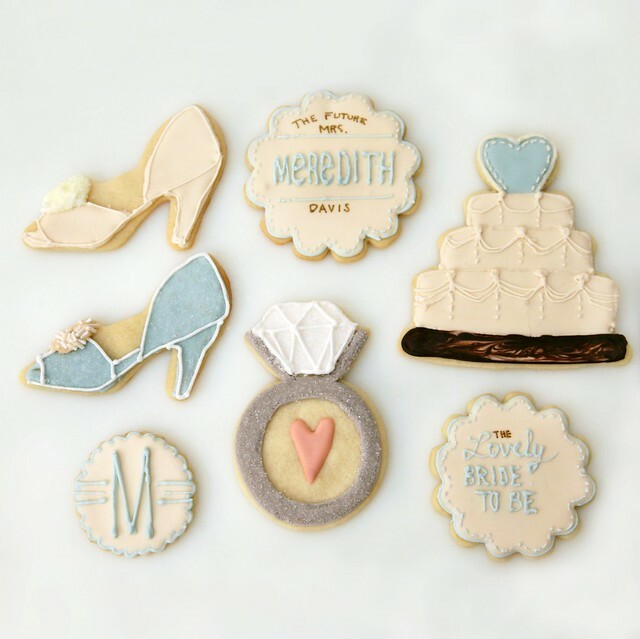 My neighbor Izzie asked me to make some decorated sugar cookies for a bridal shower she was helping plan for her good friend Meredith. The shower was down in San Diego so I packed them all up in a carry-on friendly package. Good news is that they got there in great shape, I'm told. 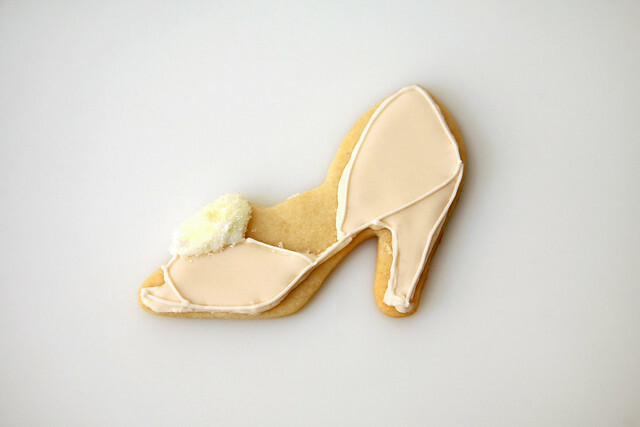 I used the very simple but adorable invitations for the bridal shower tea party as the cookie design inspiration. 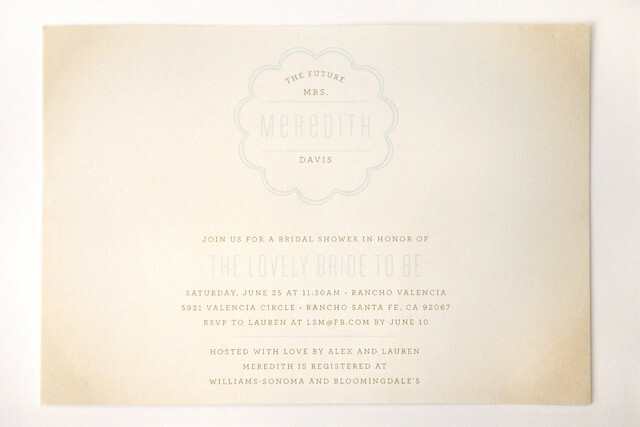 The "Bonne Amie Bridal Shower" invitations are from Minted, created by Bay Area stationary designers -- Vellum & Vogue. Here is the invitation as printed for Meredith's shower. 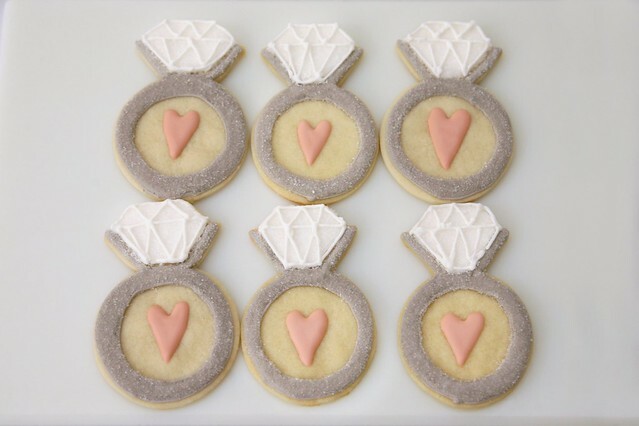 Here is a look at the whole set of bridal shower cookies. 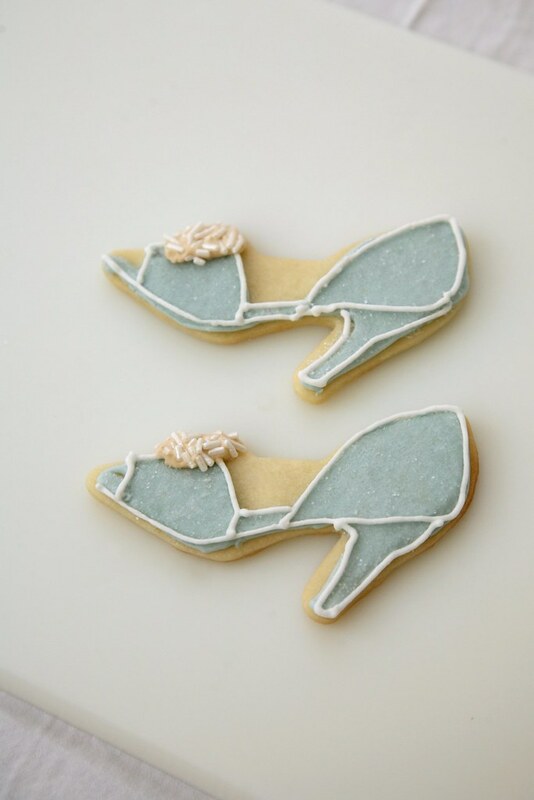 Bridal shoes. Kind of a D'orsay? In a warm peachy/ivory tone. With a sparkling sugar pom pom. Why not? 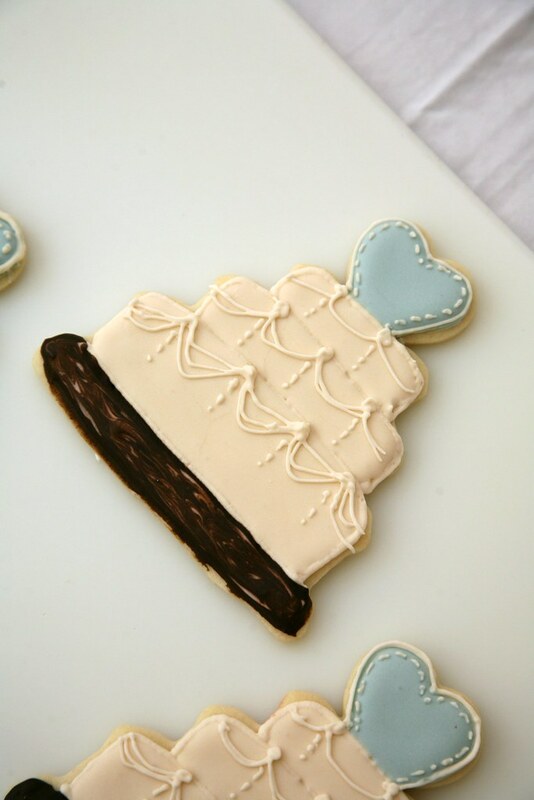 This scallop shaped cookie directly mimics the invitations. I loved that fine stitching on the inner border from the invitation design so I was determined to get it on the cookie, no matter how dainty the piping had to be. 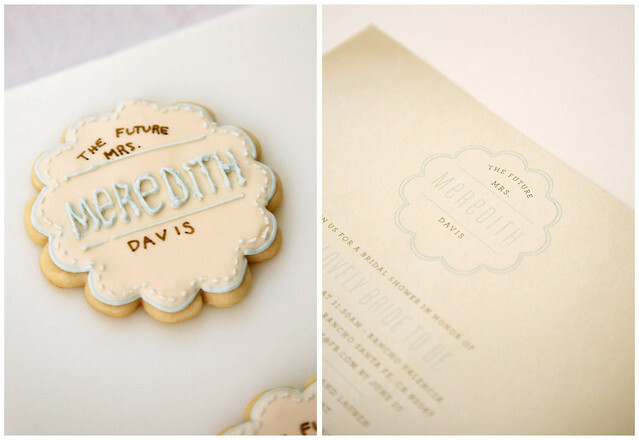 When it came to the teeny tiny font needed for "the future mrs." and "davis" part, I used edible food pens. I incorporated some of the stitching elements into the wedding cake cookie, along with scalloped piping on each "tier of cake". I tried to make the cake stand look like a slab of wood, giving it a little bit of a dark wood grain effect. 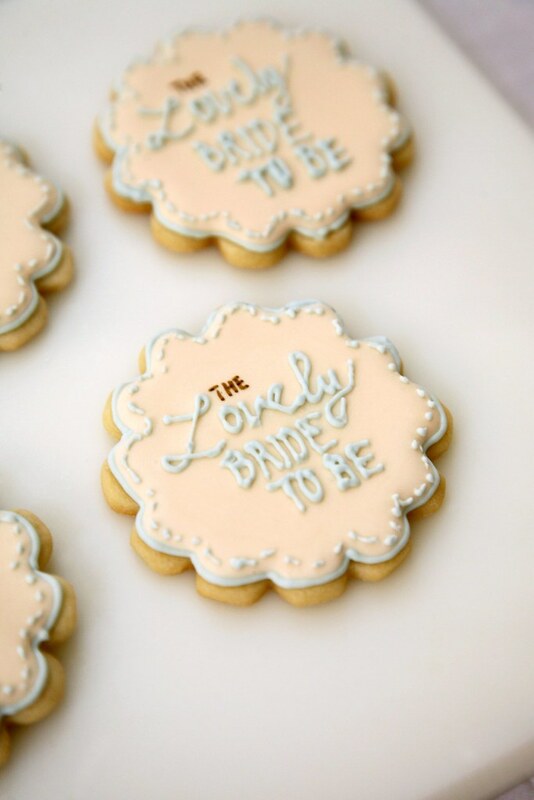 I used "the lovely bride to be" phrase from the invitation to make a matching set of scallop-shaped cookies. 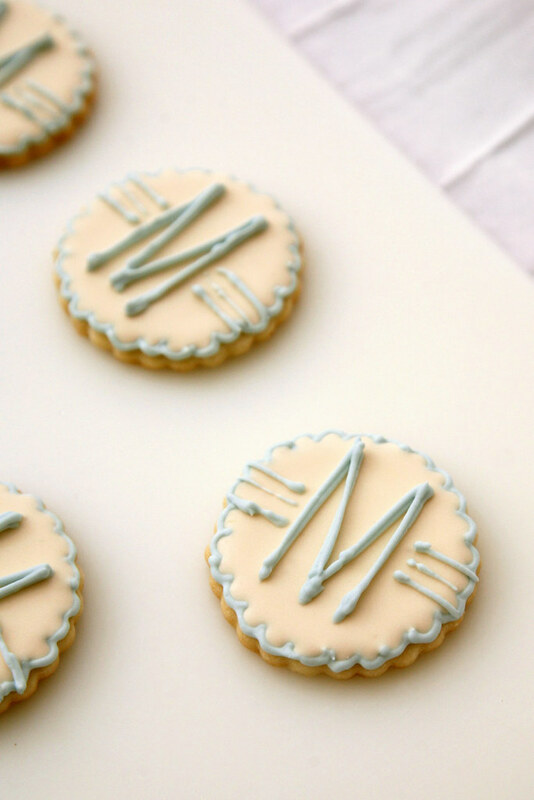 And a simple monogram design on smaller scallop cookies. 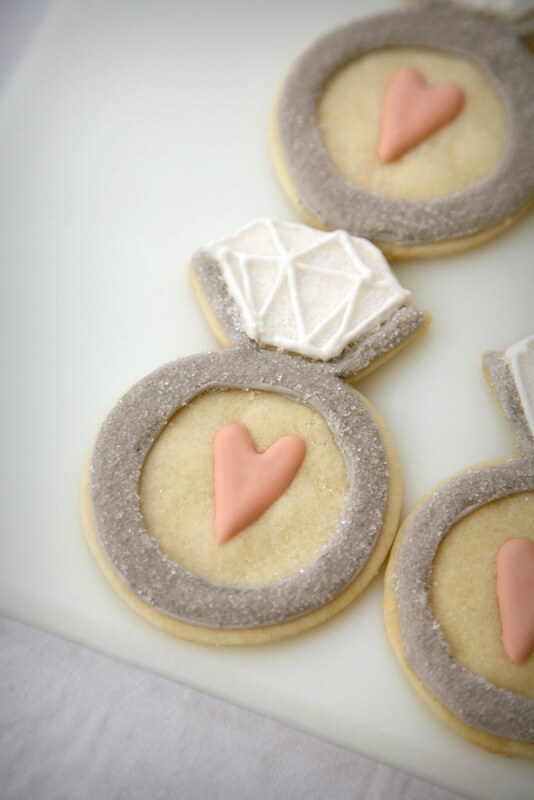 These diamond ring / engagement ring cookies with little hearts in the center... just because I thought the the set needed a little bit of pink. 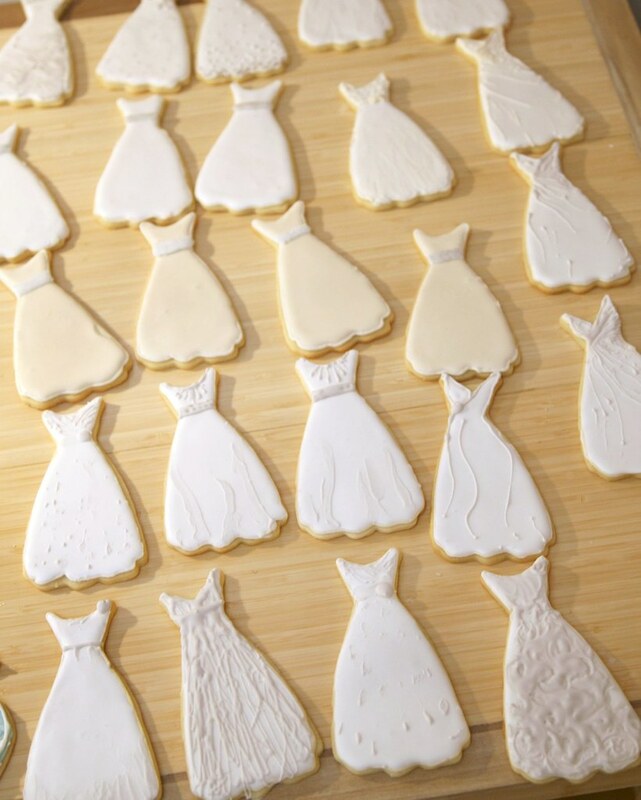 I made about 25 wedding dress cookies with various designs. Here is a glimpse of some of them. I individually wrapped each one in cellophane and twine and everyone at the shower took one home as a party favor. Thanks again, Izzie, for a fun order! 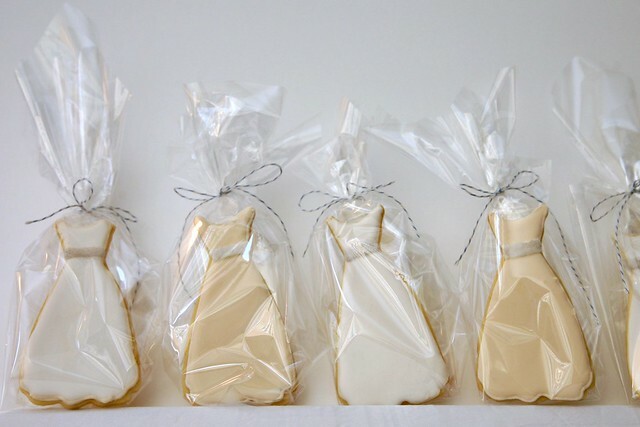 **Update** A selection of these bridal shower cookies are now available for purchase in my new online shop!